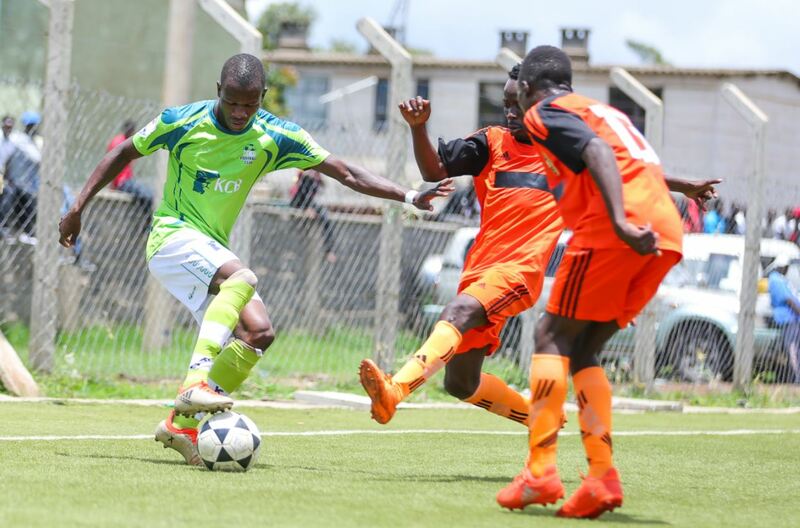 KCB FC are back in the Kenyan Premier League for the upcoming 2018-19 season after three seasons out after securing at least a second place finish in the National Super League. The Bankers restored the topflight status Sunday after beating Talanta FC 2-0 at the Camp Toyoyo, Jericho Estate. Goals from Dennis Gacheru and Simon Abuko ensured KCB opened unassailable five-point gap between them and third placed Nairobi Stima ahead of last round of fixtures. KCB join Western Stima, who secured promotion weeks back and are still leading the 19-team league. Western Stima need at least paint to be crowned the NSL champions. Nairobi Stima will have another bite at the cherry if they finish third as they will be eligible for relegation playoffs with the 16th finisher in the KPL.